Richard Casper is a United States Marine Corps veteran and the co-founder and program director of CreatiVets, a nonprofit organization that creates a safe, communal environment for veterans to make art and music. 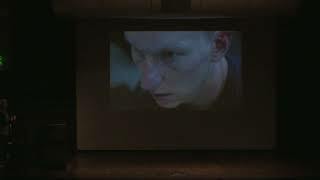 In his acclaimed lecture “Warrior Brain to Artist Brain,” he explores his own journey to recovery. During a tour of duty in Iraq, Casper was hit in four separate IED (Improvised Explosive Device) explosions that resulted in traumatic brain injuries and post-traumatic stress disorder (PTSD). A graduate of the School of the Art Institute of Chicago, Richard credits art with helping him reclaim his life and giving it purpose. Through CreatiVets, he talks and teaches across the country (including at the School of the Art Institute of Chicago and Virginia Commonwealth University) in his outreach to veterans, championing art and music as inspirational tools in the healing process.